Review from "The Buffalo News"
Picture a young musician from Switzerland, one sunny New York morning in September of 1992, in the basement of The Mannes College of Music (now known as New School University). The ensemble class has just finished a performance of a Bud Powell composition called "Webb City" at the request of their coach, and it’s obvious these five musicians from radically different cultural backgrounds – some of whom will later go on to become well known in different scenes – feel less than at ease playing with each other for the first time. After a moment of silence, pregnant with uncertainty, the ensemble coach finally declares, “You guys need to learn how to love each other.” You can guess who that teacher was. Swiss-born, Hamburg-based arranger-composer Christophe Schweizer is of course is just one of hundreds, if not thousands of musicians and fans that Hart has touched and continues to touch as an educator and performer. Schweizer calls Hart’s touch a "generosity of self". Over the course of a career spanning over five decades, Hart’s collaborations are perhaps greater in significance, number, and diversity than most living jazz musicians’, aside from a few elder musicians like Roy Haynes or Sonny Rollins. According to Schweizer, Hart’s essence is "something that sticks with you for a long time as a listener and as a musician, consciously or not. In my case, this recording project is manifest evidence. Interestingly, as much as Billy has accumulated a wealth of historical knowledge about playing music and musicians’ playing, which he readily shares with fellow musicians and with his students, he lives it in a very present way and keeps evolving, his iPod always stacked with samples of the most recent developments in improvised music and of course drumming." When Schweizer first approached Hart with the idea of producing a large ensemble recording of his compositions, not only was his response positive in the sense that doing so had been a longtime dream of his, but also in his willingness to collaborate directly with Schweizer as the two had been separated by at least a decade of no contact with one another. Little time was spent talking about what their approach to the compositions was going to be. Billy’s main stipulation as Christophe recalls it was, "If you are going to do this, I want you to put as much of your concept in there as possible." The first composition here, "Téulé’s Redemption", is a fine example. Dedicated to his eldest son, the original version played by Quest in the 1980s didn’t have the introductory hymn heard here, which was added years later on a different recording, 1997’s Oceans of Time (Arabesque) . The tune makes reference to some of John Coltrane’s concepts, while the rubato interpretation of the introduction that works so well came from trumpeter Dave Ballou, who didn’t perform on Oceans of Time, but was present at the session. The concept of this section became the starting point for the large ensemble arrangement. The tenor soloist is Paul Heller, who incidentally considers Billy one of his biggest influences, while guitarist Paul Shigihara finds the perfect way of relating to the rather dense ensemble happening around him. The opening, featuring bassist John Goldsby starting by himself and pianist Frank Chastenier joining in, is also the first of many examples on the recording that showcase how the pianist and bassist immediately caught onto the spirit of the music, having received no verbal instruction before tape rolled. "Layla-Joy", "Song for Balkis", and "Reneda" are connected here as a suite. Billy considers them different versions of the same song. He composed "Layla-Joy" for his first album as a bandleader, Enchance (Horizon A&M, 1977), and dedicated it to a friend’s newborn child. The original arrangement was by Dewey Redman, and the treatment here uses all of its components (plus a few additions) including the flugelhorn solo by Rob Bruynen. The ensemble transition is led by trombonist Ludwig Nuss into the second movement, "Song for Balkis". This melody is the most recent "version" of this composition, and has already seen vastly different recordings. Schweizer likes Ethan Iverson’s "original" arrangement from Hart’s 2012 ECM album All Our Reasons. "Reneda", which concludes the suite, was chronologically the middle piece, recorded in 1987. It’s original arrangement was the work of the late keyboardist Mark Grey, and the idea of the bass having the first solo is also taken from that version. Generally, pianists play an important role in Hart’s compositional voice. Billy kept drawing my attention to the playing of Kenny Kirkland, who died in 1998, far too soon. Thus, a good portion of the material behind the solo sections by Karolina Strassmayer on alto and Andy Hunter on trombone as well as the concluding ensemble are actually adapted from Kirkland’s comping and soloing on the original performance. "Lullaby for Imke" is another more recent song and was written for Billy’s youngest daughter. When it comes to straight ahead ballads, Coltrane is again Billy’s model, especially the concept of using bass pedals. The arrangement here uses an almost entirely new harmony and some additional material with contributions from Chastenier on piano, Andy Haderer on flugelhorn, and Johan Hörlen on alto flute. 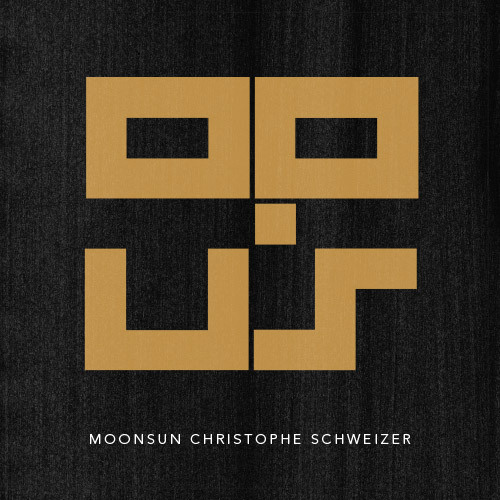 Schweizer says: "I love the groove the rhythm section establishes towards the end – a pure product of their spontaneity". "Let the music decide", as John Goldsby quite appropriately put it. "Tolli’s Dance" is an example of Billy’s way of looking at the blues. It exposes to great effect several of Billy’s concepts: that of patterns, both melodically and rhythmically; that of simplicity, and that of mental imagery. In several respects, "Naaj" (originally recorded on Rah in 1987) points in a different direction than the other pieces on this album: it’s his interpretation of the approach of Cedar Walton as a representative of what Billy calls "the composers of the harmonic era". 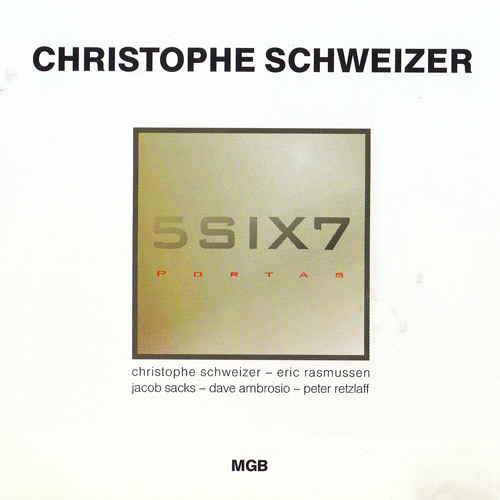 It is the most "straight ahead" song on this album, and leaves plenty of space for solos by Chastenier, Hörlen, and a duet between the saxophones of Hörlen and Heller. "Imke’s March" rounds out the set. The image behind this piece is that of a father holding his small child by the hand as she is balancing atop a wall. To keep her from becoming distracted, he whistles a simple march-like tune to her. One point of reference in this tune is the second line, one of Billy’s favorite drum topics (it’s so much more than "just" New Orleans parade drumming); others are Miles Davis and Elvin Jones. Finally, this piece has something to do with a certain "sense of humor", because the child experiences a Shostakovich-ian grotesque of grown ups’ war games. Hart, who to this day considers himself a student, likes to tell a story from the days when he must have been in his twenties. He goes to see Elvin Jones play with Coltrane. "You cannot imagine the energy this cat had." After the last set, he walked up to his idol in order to talk to him, meaning, to extract some knowledge. Elvin simply hands his bass drum pedal to Billy, saying: "Don’t ask me anything, because If I could show you, we’d all be Max Roach." That sums it up in more than way. was born on April 9th, 1968, in Berne, Switzerland. He attended Berne Conservatory (Berne), Mannes College (New York), and Banff School of Fine Arts (Banff, Canada), where he was a long term resident artist in 1993 and went on to become a faculty member at the Jazz Workshop in 1999 and 2000. Among his teachers where Branimir Slokar, Guy-Noel Conus, Conrad Herwig, David Taylor, and Malte Burba. In 1994 and 1995 he attended Gunther Schuller’s Schweitzer Institute of Music at Sandpoint, Idaho, where he studied with Kenny Werner and Joe Lovano. 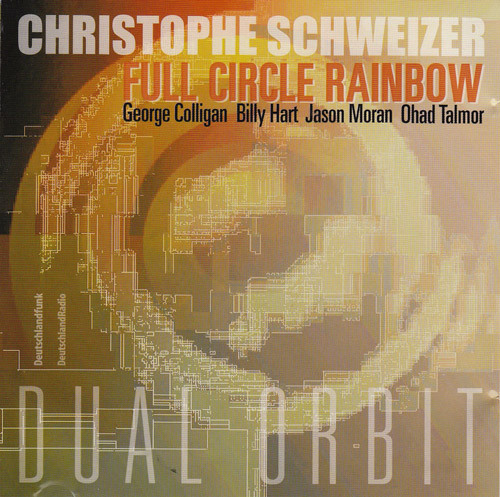 Schweizer is equally at home in Jazz- / classical - / new-music-related idioms. As a Jazz musician, Christophe has released six albums of original music under his own name and performed on many as a sideman. Among the musicians who have recorded and / or played concerts / tours with him are Ethan Iverson, Jason Moran, Jacob Sacks, David Kikoski, George Colligan, Sam Barsh / Donny McCaslin, Oscar Noriega, Seamus Blake, David Binney, Ohad Talmor, Rudresh Mahanthappa, Miguel Zenon, Loren Stillman / Alex Sipiagin, Dave Ballou / Hans Glawischnig, Johannes Weidenmüller, Mark Dresser / Dan Weiss, Billy Hart, Tyshawn Sorey, Gene Jackson, Stephane Galland. Christophe took part in many projects a.o. with Lee Konitz (a.o. 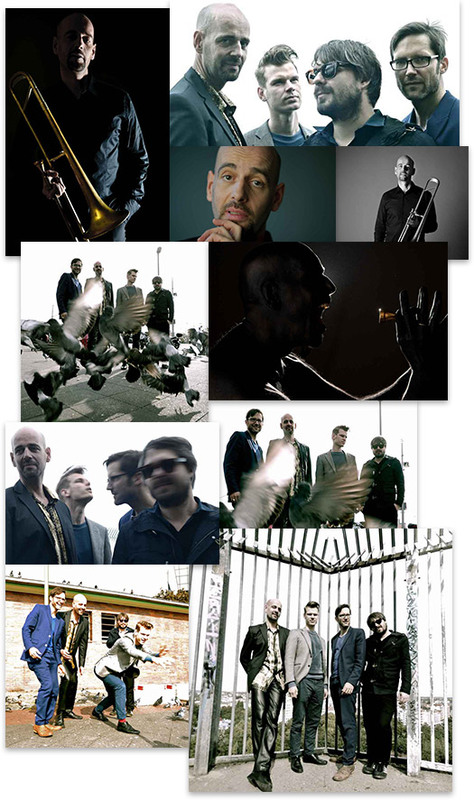 Nonet with Ohad Talmor at North Sea Festival, 2004), Steve Swallow (with Yannick Barman, 2003), Fred Hersch (“My Coma Dreams”, Berlin 2013). Other collaborations include Markus Stockhausen-Arkady Shilkloper (Snow Jazz Gastein 2006), Michael Wertmüller-Olaf Rupp (“Speedmaster”). 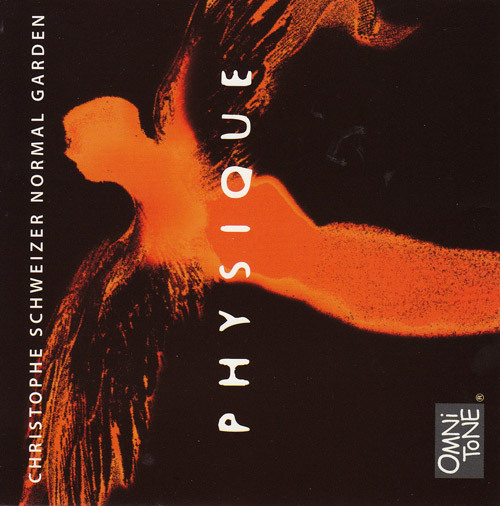 Christophe was a member of the George Gruntz Concert Band from 1996 to 1998, touring Europe, Russia, North America, and Egypt. He has performed with Maria Schneider Jazz Orchestra, Mingus Big Band, Jazz Big Band Graz, NDR Big Band, WDR Big Band, Guimaraes Festival Big Band, Big Band de Lausanne. As a sideman, he shared the stage with the likes of Phil Woods, Toots Thielemans, Joe Lovano, Kenny Wheeler, Bob Mintzer, Gianluigi Trovesi, Norma Winstone, Jon Hendricks, Kurt Elling, Oscar Brown Jr., Abdullah Ibrahim, Maceo Parker, Take Six, New York Voices, and Paulo Moura. During his New York days, he played with George Schuller’s “Orange then Blue”, Matt Darriau’s “Ballin’ the Jack”, and Joey Sellers’ Jazz Aggregation. He can be heard on pianist Vana Gierig’s Album “A new Day” (Challenge, 2008). Since 2007, Christophe has collaborated extensively with experimental composer / cellist / performer Brice Catherin, both as a member of the Ensemble “Car du Thon” and as part of the duo “Bristophe” (albums “"Le fils de la prophétesse / Εἰρήνη, Χρόνος" and “ Die ersten zwei Kirchen”, (both on Pan y Rosas, 2014)) and premiering among other works his 10-hour solo performance “Ma pièce avec comme un espoir à la fin” (Geneva, 2010) and the tuba solo “Femme Fontaine”. As a classical soloist, he has appeared with Gstaad Festival Orchestra playing Daniel Schnyder’s Alphorn Concerto (Singapore 2006). That same year, he performed (also on alphorn) as a member of Arkady Shilkloper’s word project at Dom Musici in Moscow (with a.o. Stoyan Yankoulov, Vladimir Volkov, Mamadou Diabate) In January, 2015, Christophe appeared as a featured soloist in a concert honoring the life and film music of Georgian Composer Giya Kancheli at Tbilisi’s Rustaveli Theater. He was a member of Pro Musica Orchestra Lausanne during the 1991/2 season, with which he performed the alto trombone concerto by Johann Georg Albrechtsberger. From 1988 through 1991, he was the principal trombonist with the Swiss Youth Symphony. Christophe performs with Berlin based groups “Work in Progress” (New Music) and “Stargaze” (Crossover), collaborating a.o. with pop artists Owen Pallett (PopKultur and Ruhrtriennale Festivals, 2015) and Loney Dear (Kaltern Pop 2015), and played several shows with Matthew Herbert in 2015. 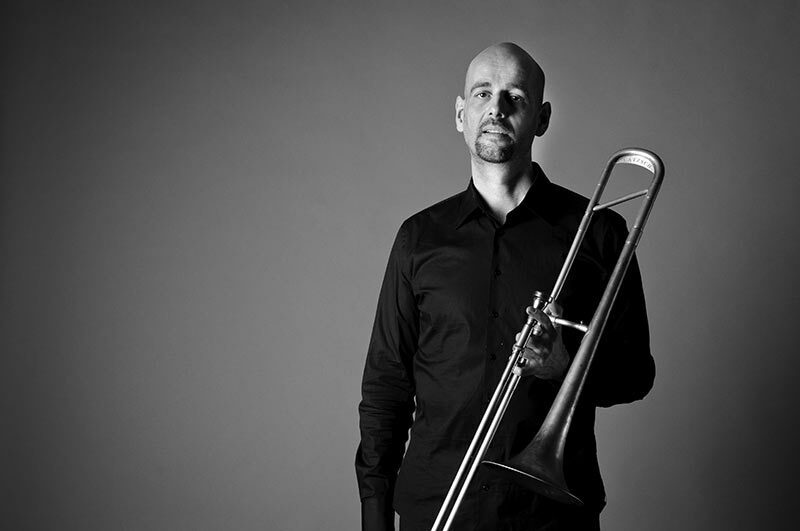 In 2014, Schweizer recorded contemporary composer Stéphane Furic-Leibovici’s extended work “Innerland” together with fellow trombonist Samuel Blaser and vocalist Almut Kühne. As a composer and performer, he collaborated with conductor Kristjan Järvi’s “Absolute Ensemble” on the music to a new TV series by director Tom Tykwer (2015). 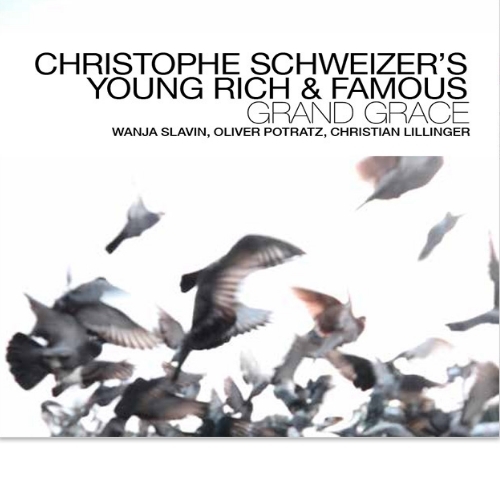 Schweizer’s current Jazz group “Young, Rich & Famous” (Wanja Slavin, as / Oliver Potratz, b / Christian Lillinger, dr) released their debut album “Grand Grace” (Between the Lines) in 2015, which received a honorary mention amongst the best of 2015 in “The New York City Jazz Record”). In 2014, Schweizer conducted and co-arranged a large ensemble concert featuring Gary Thomas and his music at JazzHausFestival Hamburg. 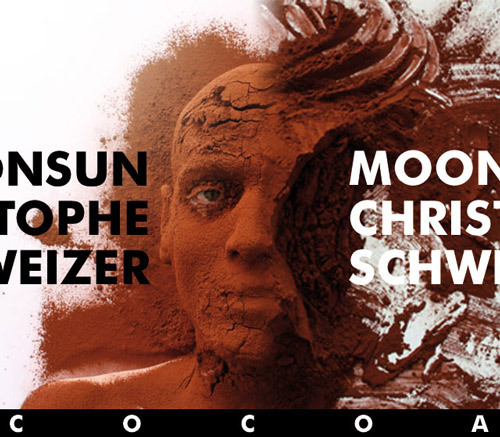 At Hamburg’s Jazz Open Festival 2015 Christophe Schweizer performed in a trio setting with Richie Beirach on piano and Detlev Beyer on bass. Christophe serves as music director /arranger for bassist Jürgen Attig’s 18-piece ensemble “African Voicings” featuring several members of the Hamburg production of “The Lion King” (music from Jürgen’s Album “Aventureiro”, Sony 2012). He collaborates with legendary Jazz drummer Billy Hart on a forthcoming album with the WDR Big Band Cologne featuring Billy’s compositions, which Christophe arranged and conducted. Since 2013, Schweizer has been a faculty member at the Outreach Festival Academy in Austria. He has taught clinics at HfMT Hamburg, HfMT Hannover, and Indiana University, where he performed (on trombone) the Cello Sonata No.1 in e-minor by Johannes Brahms (1994), and was a faculty member of the Banff Jazz Workshop (Canada) in 1999 and 2000. Christophe plays the alto-, tenor-, bass-, and contrabass trombone (notably with David Taylor’s “Sounds after the Oil War”) as well as the sackbut, tuba, alphorn, bass trumpet and euphonium. He currently resides in Hamburg, Germany.